Satire, one of literature's trickiest genres, is tricky because [to be effective] it must actually 'work,' which requires successfully walking the very fine tightrope between ridiculing and having something worthwhile to say. Satire is not obligated to offer anything in exchange (a better alternative to its subject of ridicule, for example), but it sure helps when it does, particularly if it seeks to avoid simply being a meanspirited bully. Unfortunately, Sausage Party slips, straddles, then rotates 180-degrees and falls completely from said tightrope, exploding 300 feet below and smashing like Grey Poupon into a thousand glass shards. I had hoped Sausage Party might be "this generation's Blazing Saddles," which is how Alamo Drafthouse President Tim League introduced it. Instead, what you'll be subjected to is a raging torrent of hyperaggressive profanity, ultimately leading to flat-out graphic exhibitions of crudeness, both physical and relational. 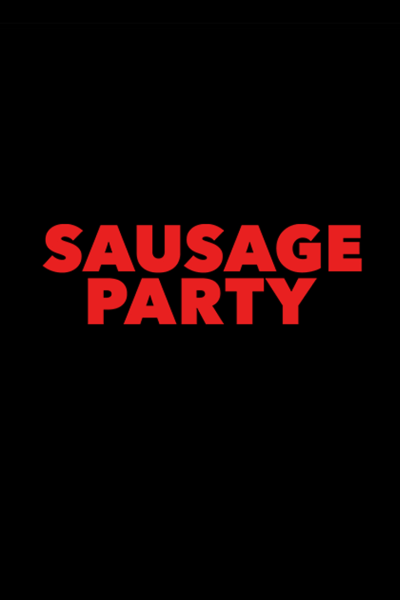 Adding insult to injury, in its attempts to intellectually dismantle Christianity, Judaism, and Islam—while simultaneously tackling the absurdities of racial and sexual stereotyping—Sausage Party commits the twin-sins of being both ignorant and unfunny. It fights its opponents while tying their hands behind their backs and utilizing the same blunt instruments it accuses them of using. It's not a debate, it's a misanthropic takedown. I can temporarily abide blue, suspending my own judgment and 'prudeness' in anticipation of a satirical payoff that I hope might add value by illuminating ignorance, but Sausage Party is neither the vehicle nor the light. It's just a tacky, adolescent, obscene escapade that fails to deliver entertainment, much less a meaningful message. If you want something that will challenge your beliefs, and do so in a way that leaves you believing (or at least thinking), pursue Gleason. It's not everywhere, but it's out there.